The Rio Texas Pensions office is offering an exciting and information filled opportunity to clergy who plan to retire one day, whether in 2019 or in 2039! On Monday, March 25, a Plan for Your Future Retirement seminar will begin at 9:30am at University UMC, San Antonio, in the John Wesley Room. Topics will include Pensions, presented by Wespath; Achieving Financial Wellness & Estate Planning, presented by Ernst & Young; and Social Security & Medicare, presented by Your Social Security Strategies. Registration opens at 9:00AM. The class is free but you must register CLICK HERE. Lunch will be provided. This will be a day well spent for all clergy, and their spouses, who plan to, one day, retire. The seminar will end at 5:30pm. This seminar is open to Rio Texas Conference clergy and their spouses. Your spouse’s registration is at the bottom of the registration page. If you have questions about these events, contact Nan Pyle. If you are planning to retire in 2019, there will be a second day on Tuesday, March 26, at University UMC, San Antonio. You will receive an email from Isabel Muñoz with the link to register for the second day. 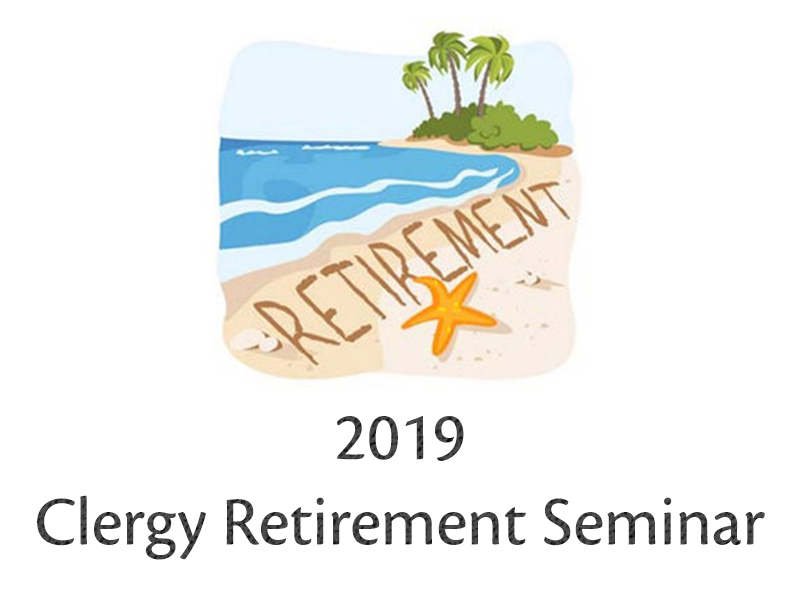 2019 retirees and their spouses are encouraged to attend both days; please note that each day has its own registration; you must register using the link above for March 25 and using the link that will be emailed to you for March 26. If you have questions about these events, contact Nan Pyle. March 25 is FREE and open to all ages, whether you’re retiring in 2019 or 2039! But you must register. Lunch included. Seminar will take place at University UMC: San Antonio in the John Wesley Room on both days.